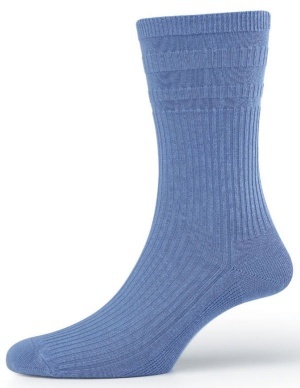 The original HJ Hall Softop cotton sock. In one pair packs, these ladies non-elastic socks feature the HJ Hall's patented easy grip top, so no more ugly sock top markings or discomfort caused by tight fitting tops. 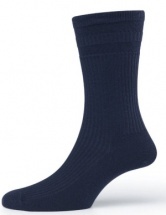 The Softop Sock is ideal for all wearers, however they are particularly suitable for Diabetics and for people with poor circulation problems. Made in the UK from a Cotton Rich material, 65% Cotton / 35% Polyamide and backed up by a six month manufacturer guarantee, you will not be disappointed by these fantastic women's socks. After years of wearing socks that are too tight it was great to find some that are comfortable to wear and that ont fall down ! Great service too.